Photocopiers are the underappreciated workhorses of the office. It’s only when there is a problem that people realise it’s the daily use of the photocopier that keeps the office in order. That is why finding the right photocopier is so important, but how much does a new photocopier cost? 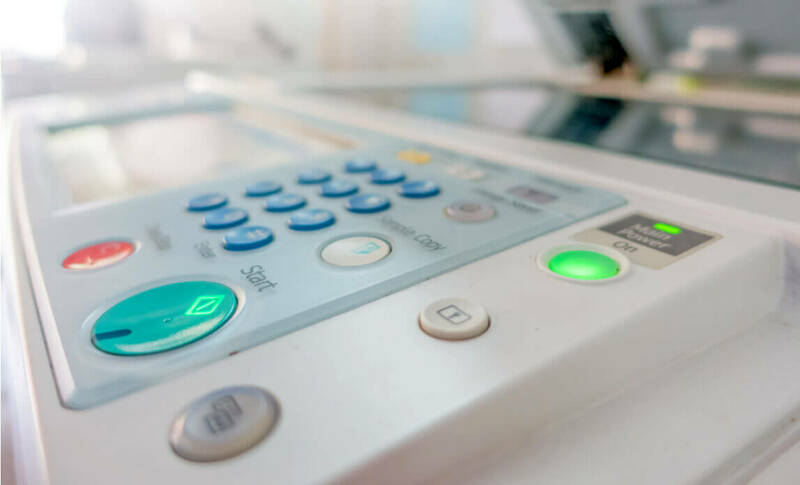 If it’s been a few years since your last photocopier purchase or you are looking to buy one for the first time you may be struggling to find useful online information to help you get the ball rolling. That’s where we come in. Take a look at our price guide as well as what impacts the cost of a photocopier. When looking at the available photocopiers on the market you will see that the sizes range from small desktop options up to stand-alone industrial size machines. The size of the photocopier you need is dependent on the amount of photocopying – and the functions – you require. Suitable for small businesses who require relatively few photocopies each day. Generally, a low volume photocopier has the capability to print around 20 pages per minute. You can expect to buy a basic desktop photocopier (ideal for startup businesses) for less than £100 or a slightly more advanced free-standing photocopier (ideal for small offices) for up to £1000 depending on the features. Best suited to growing and mid-sized businesses who are in frequent need of photocopies. Photocopiers in this category are able to print faster (around 40 pages per minute), are larger and have increased functionality. With these differences comes a slightly higher price tag. You can expect the models in this category to cost anywhere from £2,000 up to around £5,000. Photocopiers in this category are highly capable and geared towards large businesses with consistently high printing requirements. Generally, a high volume copier is able to produce over 100 prints per minute and operate in an efficient and mostly automated manner. The high volume models are incredible efficient and can cost you between £5,000 and £10,000 to buy. The print quality refers to the detail and sharpness the photocopier is able to produce. This is measured in dots per inch (DPI) with 600 DPI being a commonly seen resolution which is suitable for your standard everyday copying. If you are going to be producing promotional and marketing materials it is likely that you’ll require a higher quality of 1,200 DPI. The next step up is 2,400 DPI and is the go-to option for professions such as graphic designers who require their prints at exceptional quality. Do you need to print in colour or black and white? Colour allows your prints to have an impact and stand out but if this is not a necessity then you can save yourself a lot of money by choosing black and white. This is because not only are the colour copiers more expensive but they also require more cartridges that, in some cases, can cost 6 times the amount of a regular black toner. The print speed can vary from producing around 20 copies per minute to producing over 100 copies per minute. If this is something you consider to be important then make sure you keep an eye on the copies per minute information in the model specifications. As expected, the print speed has an impact on the cost of the machine. The monthly duty cycle tells you how much the photocopier is able to handle on a monthly basis. However, this is to show the durability of the copier and your actual copy volume each month should be considerably less than the monthly duty cycle in order for your copier to remain in its prime for longer. As you can see, there are many factors that impact the price you can expect to pay for a printer. Other factors to keep in mind include the size of document you need to work with e.g. A3 and the functionality of the copier – do you need to print, scan, e-mail and fax from the copier too? It’s all well and good having this information on hand but let’s take a look at some examples so you can see what we are really talking about. Basic Low Volume Start-up businesses and those requiring low volumes of copying Up to £150 Generally low resolution and black & white. Free Standing Low Volume Small businesses that have frequent copying requirements £800 – £1,000 Slightly higher copying speeds than the above, also black & white. Medium Volume Small to medium sized businesses that need frequent copying £1,000 – £3,000 Higher copying speeds and more functionality. 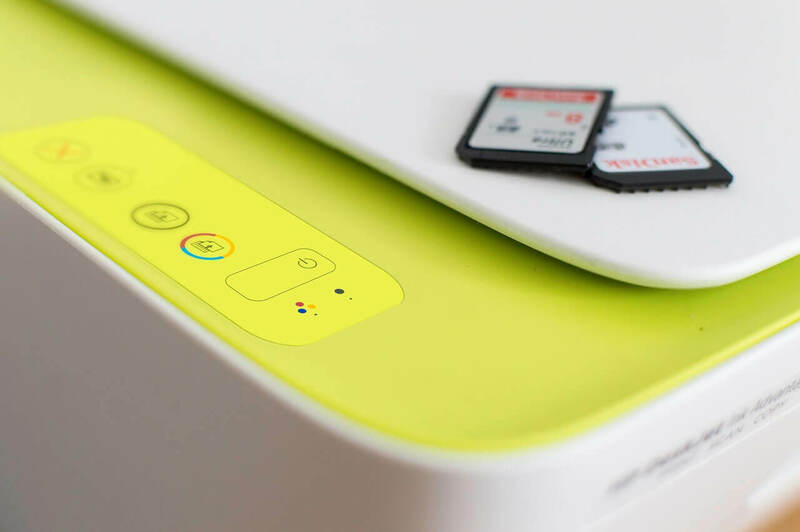 Colour (Medium Volume) Small to medium sized businesses that need frequent colour copying £2,500 – £4,500 Multi-functional and colour capable. High Volume Large businesses that require large amounts of copying and relatively constant useage £5,000 – £10,000 High performance with fast copying speeds and many extra features. Basic low volume – These are the smaller, low resolution photocopiers that can comfortably sit on your desk and usually produce black and white copies. They are very affordable and are best suited to small businesses currently operating a one or two-man office. If you have higher volume requirements and use a model from this category you will quickly experience problems and the machine is likely to break early on in its lifespan. Therefore, it’s better not to try to cut corners by choosing a lower volume model and pushing it beyond its limits. Free standing low volume – These are larger, faster and usually more capable than the desktop models. They still tend to be relatively basic as they are geared towards smaller businesses who require low volumes of copies. Medium volume – The models in this category often have faster operating speeds and more features as well as increased additional add-ons. They tend to be multifunctional and are perfect for small to medium sized offices with frequent copying needs. Colour medium volume – These are similar to those above but with colour abilities adding additional versatility and allows businesses to produce eye-catching prints every time. High volume – These models are high performance with impressive print speeds, a range of included features as well as seemingly endless optional extras. They are very large in size so will take up a lot of office space but they are able to work continuously, producing high quality and professional prints without any wasted time. As you can see, investing in a photocopier often involves a large initial cost that can leave businesses feeling out of pocket. This is especially true when you take into account the running costs of a printer too. To combat this and avoid the tense grasp of tight budgets many businesses decide to rent or lease a photocopier. Why? It’s simple, really. You can enjoy all the benefits of the photocopier while instead of having to pay to own the machine you pay a small monthly fee to utilise it. Leasing prices can start from around £20 a month and generally a contract lasts a few years but this is something you can discuss with the supplier. Many lease contracts will give you the option of buying the photocopier at the end of the lease for a fee or you can upgrade it to a new model on a new lease or simply just return the photocopier. Leasing also has potential tax benefits as the service is deductible from your profits. A photocopier comes with running costs as you need to continuously replenish the photocopier consumables such as the toner, ink, paper, staples, etc. Running costs also can include maintenance, repairs and part replacements. It may sound insignificant but when you consider a toner cartridge alone could cost you around £60, the costs soon add up. To help give you an idea of the prices you can expect to pay and what is included with each model we have chosen some of the best value photocopiers and compared them below. All of the copiers below are manufactured by excellent, well known manufacturers and are all very solid options. The photocopier you choose to invest in is completely dependent on your business needs. As seen in the table above, the prices can vary massively depending on what it is you are looking for. However, these examples should help you to find photocopiers to suit your needs that are excellent value for money. If you are struggling to find the right machine, don’t worry we can help. Contact us today and we’ll help you to sort through the vast selection to find the best models for you.